Nancy has yet another fun technique to share with you. It has the appearance of mitered corners but it isn’t pieced with mitered corners. It is much simpler. The class quilt is approx. 64x77”. You may make your quilt any size you like. 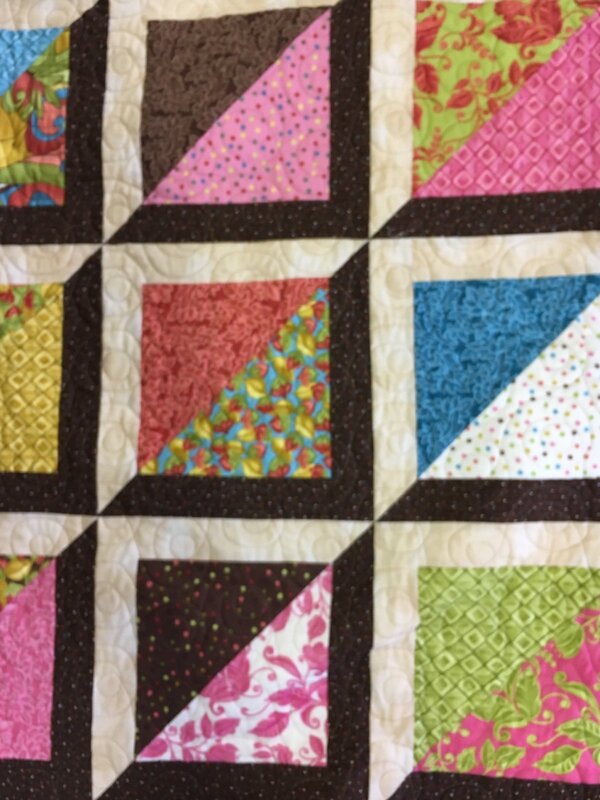 This quilt is made with 10” squares and 2 ½” strips.